68% Modal, 28% Polyester, 4% Spandex. Hand wash cold. Only non-chlorine bleach if needed. Lay flat to dry. Press to shape. Do not iron decoration. So Soft - Comfortable, lightweight, everyday fabrics. Super Soft - Warm, fuzzy, sweater knits. Irresistibly Soft - Cozy, luxurious, plush. By definition, softness has a pleasing quality that brings ease and comfort. 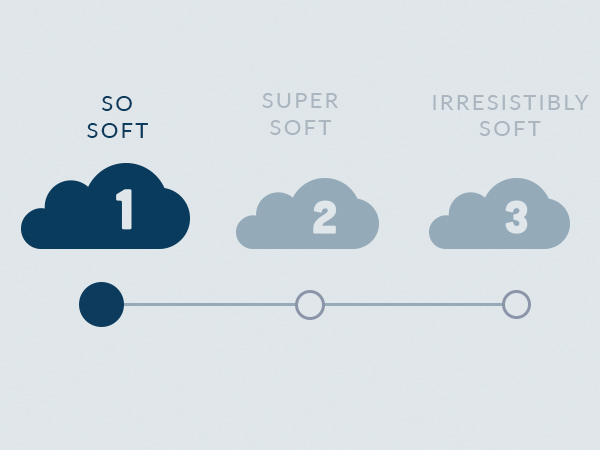 Our softness scale is designed to give you the feeling of softness through imagination. So you can trust when we say soft, we mean it.